The more I know about you the better! Complete the boxes below, tell me everything I need to know. 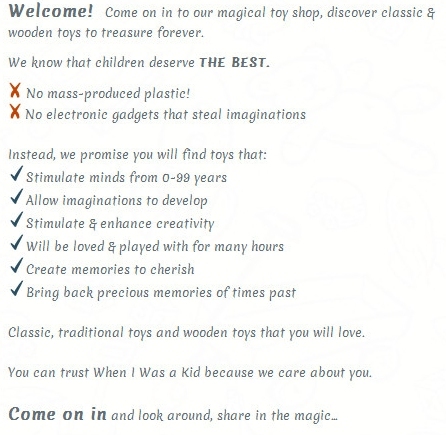 Original Text: Wooden toys are the only traditional toys that are a classic and are elegant. It is a form of art, unlike the large scale productions of plastic toys that hardly have anything elegant about them. The texture of wooden toys, the design, the entire art, paints and everything about it stand the test of time. Toys are not just something to keep a baby happy with or occupied with but they become a montage of memories as kids grow up. Nostalgia is the word that segregates wooden toys from the rest. 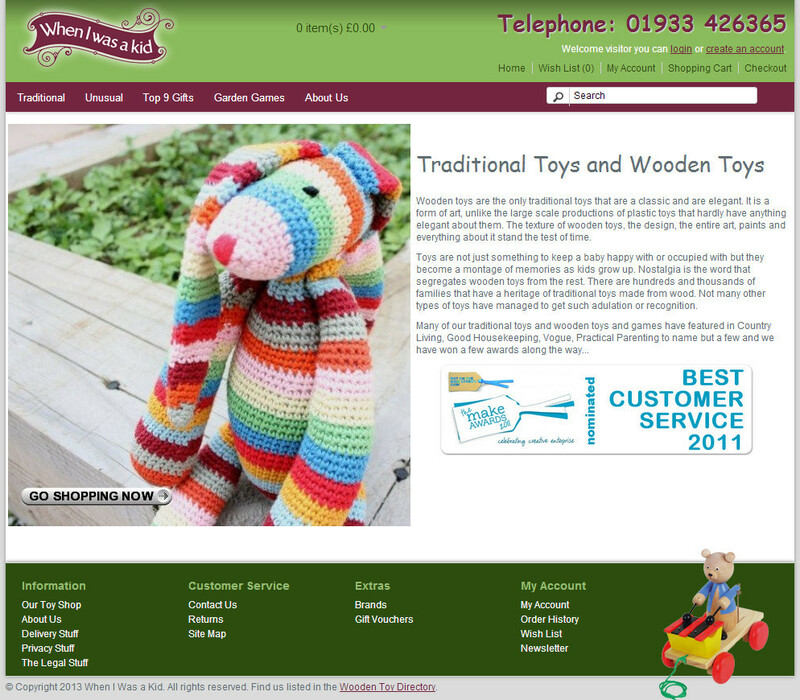 There are hundreds and thousands of families that have a heritage of traditional toys made from wood. Not many other types of toys have managed to get such adulation or recognition. The work I completed for this client attracted a tremendous response and the products soared in search engine rankings. This entry was posted in . and tagged business support, content marketing, content writer, copy for websites, copywriter, copywriter cambridge, seo, website copy cambridge, writing great webcopy. Bookmark the permalink.